1. Ranks in the top 1% of the breed for both API and TI with dominating carcass merit. 2. 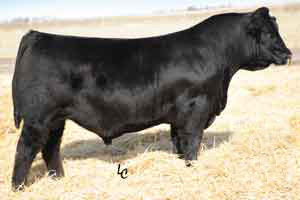 Homozygous black and Homozygous polled. 3. Strong topped, wide based bull , with fleshing ability and capacity.